After months of careful research, we are excited to announce we have a new platform for giving – Tithe.ly! 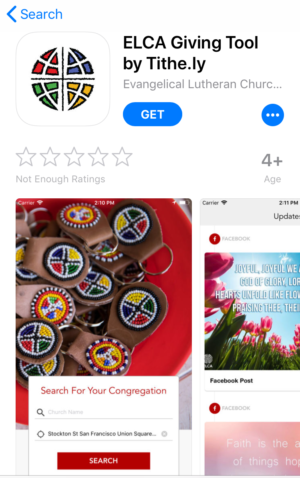 We now have the opportunity to set up automated giving or send one-time gifts through our website OR through a convenient app on your phone. 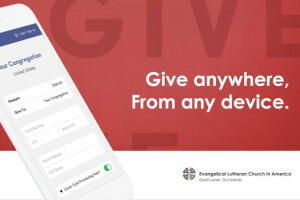 Simply visit stjohnskasson.org/giving or search for the “ELCA Giving Tool by Tithe.ly” app to get started. Select ACH/bank to incur the lowest fees. Opt to “Cover card processing fees” to pay the fees and ensure your full intended amount goes directly to St. John’s. If you haven’t participated in electronic giving in the past, now is a great time to consider setting up this option! It’s easy and secure. It also makes consistent giving one less thing to think about because Tithe.ly works even through vacations, inclement weather, and forgotten wallets. St. John’s will continue to offer envelopes for donations, but we ask that you consider electronic giving! 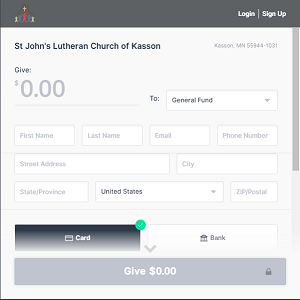 Giving electronically, is a tremendous time savings when counting and recording donations, it also provides the church with more reliable and steady donations. Please take this time to consider, if you are able, to enhance your current giving. Even a small step up – such as a $5 or $10 periodic increment over time provides St. John’s the valuable support we need. If you have any questions about the new system, council members or office staff are available to help! Participants enrolled in our previous automated giving option will be receiving information about the changeover. Your current automated giving will end April 30, 2019. Thank you for generosity to St. John’s. We appreciate all the ways you give so that we may live as witnesses of Jesus Christ in our community. Shipwrecked VBS is coming June 24-28 from 8:30 – 11:30 am for ages 3 through 4th grade (2018-2019 school year). We are planning to offer early drop-off (7:00-8:15 am), late pick-up (11:45 am-12:30 pm, and transportation to Just Like Home or Project Kids in Kasson. 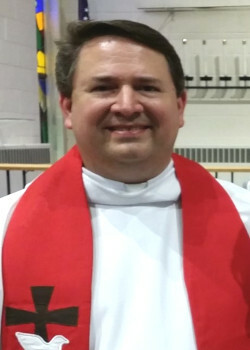 For questions, contact Deacon Amanda at amanda@stjohnskasson.org or (507)634-7110 ext. 14. We need a lot of people to make VBS a success! We have opportunities for 5th graders through adult. Details and signup at stjohnskasson.org/vbs or talk to Deacon Amanda. Share your hands and/or ideas to make our space fun and inviting for VBS! Come for the entire time or any amount of time you can. Help us plan for lunch by signing up on the bulletin board at St. John’s or talk to Angie Moore or Deacon Amanda. Whether you’re hungry, love to win, or just want to help out and save yourself the carbs – there is a way to help our youth who are headed to San Diego for the summer service trip (silent auction also helps out kids going to Sugar Creek Bible Camp). Caramel rolls are for sale till April 10! Order Sunday mornings or Wednesday evenings or online (stjohnskasson.org/caramel-rolls). Rolls may also be picked up frozen to bake later—simply indicate fresh or frozen with your order. Pick up is Palm Sunday, April 14. Palm Sunday Brunch and Silent Auction (April 14) will feature egg bake, muffins, and fruit. 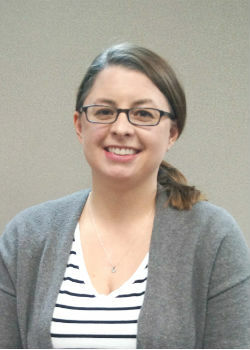 Anyone who is willing to donate to the silent auction, please connect with Lindsay by Friday, April 12 (lindsay@stjohnskasson.org). Cooler raffle is a chance to win one of three awesome prizes: 45 qt. Yeti cooler, 2 Yeti 20 oz. tumblers, $30 Kwik Trip Car Wash Card. Only 300 tickets available. Tickets are $10/each and available April 14-April 28. Let the youth serve you dinner at the American Legion Burger Night, Friday, April 26 from 5:00-7:00 pm. Burger baskets are $8. Fill an envelope to support the youth. There are envelopes of varying amounts on the wall between the Library and the Fellowship Hall. Just take one, fill it with the amount listed, and return to the office by May 1. During and between services on these days, students will share the Milestones they have been working on during this past school year. The purpose of our milestone ministries is to name both sacred and ordinary events in our daily lives by creating rituals and traditions that shape our identities and give us a sense of belonging to the family of God. By learning about sacred texts it is our hope to help students as they build a foundation of faith. Proceeds from our annual rummage sale help our Education Commission support their programming to help our children grow their faith. Ladies – Let’s Have Cake! The St. John’s Women are celebrating! The annual WELCA Birthday Party is Thursday, May 2 at 7:00 pm. The entire community is invited, so plan to bring your friends. Who turns down cake, right? The season of Lent is upon us as we head into the month of March. I started to fall in love with Lent when I was in seminary. Growing up, my family never practiced the discipline of giving things up for Lent. To be honest, most of my memories around Lent revolved around going to worship and the emphasis being put on Easter morning. When I started seminary in 2007, I fell in with a great group of friends who taught me how to immerse myself in the season of Lent. I think Lent appealed to me because there was an element of dark in it, an element of it’s okay to not be okay. As someone who has struggled with depression and anxiety for a long time it felt good to feel that acceptance and the call of God to find peace in the saving death and resurrection of his Son. Seminary was also the first place that I encountered the practice of taking on a discipline for that season, rather than giving up something. I have never been good at giving things up, especially when I try to do it intentionally. I don’t know about you, but for me, habits are hard to cultivate and they are even harder to break. But for this Lent, what about trying something new with me? Well, it isn’t that new, since I introduced the idea to you last Lent in some of our prayer stations. The idea comes from the book, Long Days of Small Things: Motherhood as a Spiritual Discipline by Catherine McNiel. Let’s try taking on the spiritual discipline of prayer. But there is no need to make it complicated. Try reciting the Lord’s Prayer in your head when walking. Try taking 5 minutes to breathe deeply with the words of John 1:5, “The light shines in the darkness, and the darkness did not overcome it.” Let’s see if we can allow the Lenten season to become part of who we are this year, rather than just another thing we have to do. May the peace of the Lord go with you now and always. 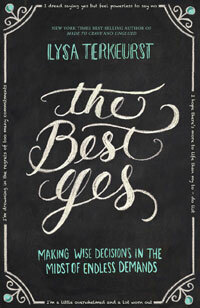 If you missed signing up for our Lenten discussion of The Best Yes there is still time! If you’re soul is overwhelmed, now is a good time to join in. Groups meet Thursdays at 7:00 pm, Saturdays at 10:00 am, and Sundays at 9:00 am. The study will take place March 7 through April 14. Sign up at stjohnskasson.org/best-yes or the Welcome Center. The Altar Guild will be selling Easter lilies to decorate the building for Easter Sunday. Sales begin Wednesday, March 13. 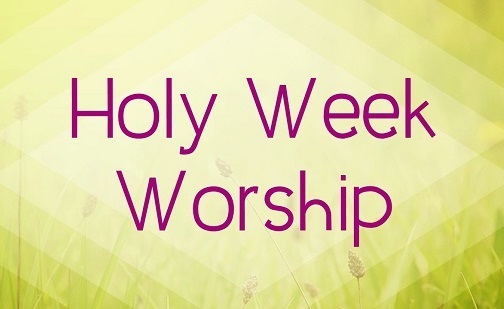 Purchase before Wednesday worship or between Sunday services OR from the office. One for $15 or two for $25. The last day to purchase flowers will be Sunday, April 7. St. John’s WELCA (Women of the ELCA) will be holding their annual “Doing Day” on Wednesday, March 20 inviting all women who would like to help in putting together all the kits we send to many different organizations. There will be guidance from 8:00 am until we finish packing. There will be lists on the Women’s bulletin board of items we need for packing. Come for the time that fits your schedule or just to have coffee with us at 9:30 am and lunch at noon. The CKP students will help pack school kits, help us bless our work, and have lunch with us. We have special t-shirts for them to show they were part of “Doing Day.” Please join us as we pack to help those in need of these supplies.